​"August 3, 1864, Wednesday. Grand medicine pow-wow over the “second line” by the Engineers. Humphreys, Warren, Duane, old Barnard, Michler, and Mendel, all dabbing on maps with their fingers." 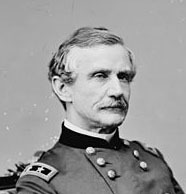 G. K. Warren, self-appointed general of the trenches. Build it my way, or it's the turnpike. 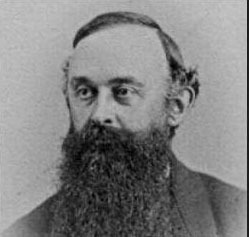 John Gross Barnard "Old Barnard," Chief Army Engineer. What will these forts cost us? A. A. Humphreys, Meade's CoS. What is it now, Warren? Nathaniel Michler, Engineer, AoP. Hmmm this might actually work. 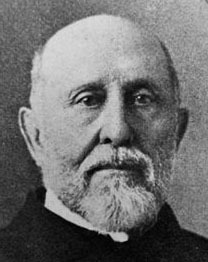 George Mendell, US Engineer Bttn. You know, I'll end up having to build this thing. ​August 1. About this date a new line of fortifications was planned, intended to rectify the battle-line, and so enable it to be held with less force. It was also planned to enlarge Fort Sedgwick, and to construct between the Appomattox River and Fort Sedgwick six strong works, each capable of independent defense: Forts Haskell, McGilvery, Stedman, Morton, Rice, and Meikle; some of which, however, were already in use as batteries, etc. A connecting line of rifle-pits was laid out by Captain Harwood. The Grand Medicine Pow-wow Map. NARA .... "... all dabbing on maps with their fingers." "Grand Medicine Pow-wow Map," NARA RG 77. Engineer Department, Headquarters, Army of the Potomac, dated July 28, 1864 with later annotations. Detail from the Grand Medicine Pow-wow Map. "... sites for Forts Rice, Meikel, Morton, Haskell, Stedman, and MeGilvery were selected, and the intervening batteries and lines located." Pencil lines are darkened. "General Hunt and Major Duane, Chief of Artillery and Chief Engineer, Army of the Potomac," woodcut from a sketch by special artist A. R. Waud. Harpers Weekly, October 15, 1864. "WE give on this page sketches of Brigadier-General HUNT and Major DUANE, the former Chief of Artillery, and the latter Chief Engineer of the Army of the Potomac. Both are soldiers of the first class. HENRY J. HUNT entered the Military Academy at West Point from Ohio in 1835. He graduated with the rank of Second Lieutenant of Artillery. In 1846 he was appointed First Lieutenant. He commanded a section of DUNCAN'S Battery in the Valley of Mexico. For meritorious conduct in the battles of Contreras and Churubusco he was raised by brevet to the rank of Captain, and subsequently to that of Major. At El Molino he was wounded. JAMES C. DUANE graduated from West Point in 1844  with the rank of Second Lieutenant of Engineers. The responsible position held by General HUNT and Major DUANE is sufficient testimony to their worth and soldierly ability. The siege operations of General Grant's campaign—which, although they do not attract public attention, are yet of the greatest importance—have been principally conducted by these officers." General Hunt had very specific theories about how to use artillery effectively in a siege situation. He would have relied upon the engineers --Duane and Michler-- to help translate those ideas into workable (and lethal) fortifications. "Upon the explosion of the mine [July 30, 1864] and failure of the assault the troops engaged were directed on the following day to resume their previous positions to a great extent, some few changes being ordered for the purpose of reducing their fronts and establishing reserves for ulterior movements. The plan of the siege by regular approaches having been abandoned, Colonel Michler was directed at the same time to make such a disposition of the lines then occupied by the corps as would enable them to be held by a diminished force, and therefore determined to select an interior line, to consist of some few detached, inclosed works, subsequently to be connected by lines of infantry parapets. The first line selected was one lying on very commanding ground, and extending from the present Fort Sedgwick to the Rushmore house, immediately opposite Fort Clifton, one of the enemys works on the Appomattox, at the head of navigation for large sea-going vessels, passing near the Avery, Friend, Dunn, and Jordan houses. This being considered too far to the rear of the then advanced position, and apparently yielding too much ground, for the possession of which such desperate fighting had taken place, he finally chose an intermediate one, and sites for Forts Rice, Meikel, Morton, Haskell, Stedman, and McGilvery were selected, and the intervening batteries and lines located. It had also been decided to enlarge and strengthen the lunette, the site of which is now occupied by Fort Sedgwick. 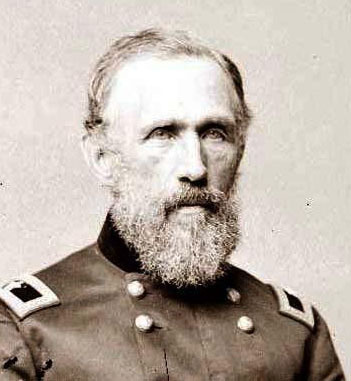 By direction of Lieutenant-General Grant the supervision of the line in front of the Eighteenth Corps had also been placed under his direction. The construction of these different works was pushed rapidly forward by night, under the immediate charge of Captains Gillespie and Harwood and Lieutenants Howell, Benyaurd, and Lydecker, as much so as the sparsity of officers, the extreme heat of the weather, and the heavy and constant artillery fire of the enemy would permit. Several officers of the Corps of Engineers, including Captains Mendell, Turnbull, and Farquhar, had been ordered away from the army on other duty, and some of the lieutenants were absent on sick leave. By the 20th of August the works were so near completion as to be in readiness for the contemplated movement on the Petersburg and Weldon Railroad." LC 3g12599. 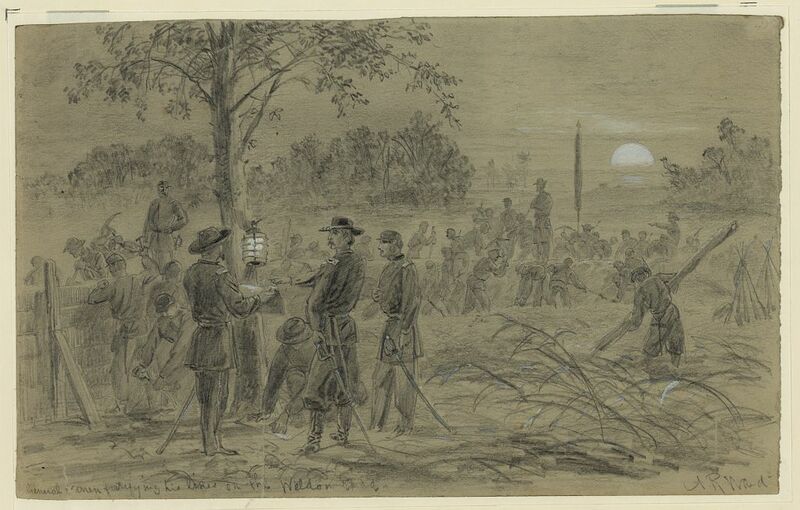 "General Warren fortifying his lines on the Weldon road," drawing by A. R. Waud. G. K. Warren was never so happy as when supervising the construction of earthworks. During the Grand Medicine Pow-wow, Warren drove home the point that the army could not afford to abandon acres of ground that had been "bought with blood" only to form a perfect defensive line. Warren was an unsung architect behind the Petersburg siegeworks. ​I wrote up a short statement of our main points to make in the article and a chronology (which I've attached). All well & good. But then I started to look through the documents and began to see things I hadn't seen before. The keys were Lyman's description of the "Grand medicine pow-wow" and a report by Michler that I had overlooked (it was extracted from his main reports and published separately in Series III of the ORs). They unlocked for me the story (much of it, anyway) of how that line was planned. I think I can reconstruct what the pow-wow was all about, at least as a hypothesis. The story begins with the construction of the Plank Road flank line in July. At this time Grant and Meade were wrestling with what to do. The three choices were: Open assault; attack by regular approaches; and reach around Lee's army to attack his communications. None of these options was very attractive. 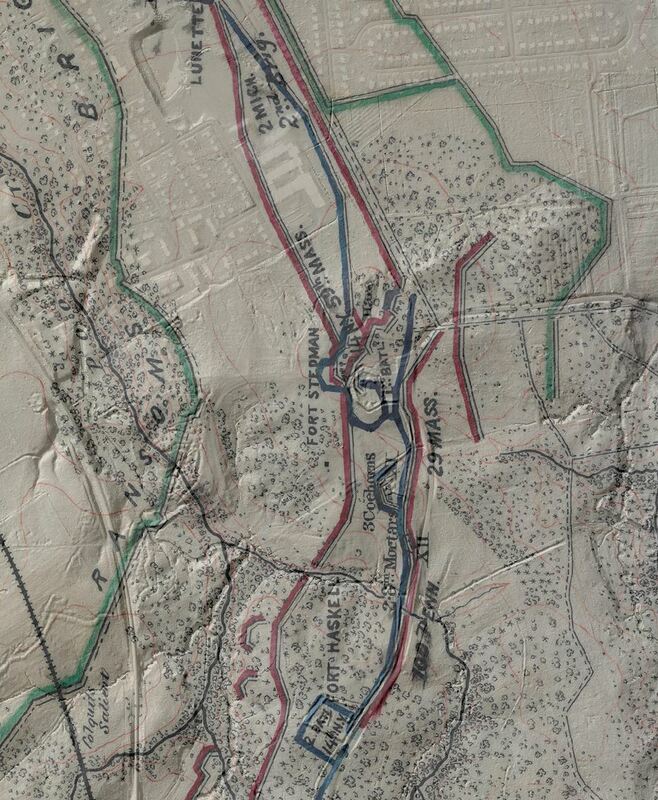 The disaster at Jerusalem Plank Road & the loss of the Sixth Corps put the kibosh on the reach-around strategy. Of the other two, Grant wanted to attack on the Ninth Corps front, because of the mine & Burnside's optimism; Meade & his engineers wanted regular approaches on Warren's front. So they kind of hemmed & hawed about this for the next several weeks. Meanwhile, at the start of July, Meade was very nervous about his flank, since he knew he may lose the Sixth and even Second Corps, which were holding the left of his line. He was convinced that if he attacked on Burnside's front and was repulsed, Lee could come sweeping around his open flank, so he told Warren to think about building a new line there. On July 4 Warren asked permission to build a redoubt where the angle would be; this was the future Fort Davis. The next day he suggested that in addition to this "small redoubt" (hah!) they build another one, the future Fort Prescott. (The connecting rifle pits were an afterthought; Warren himself said there is little urgency for them.) A few days later the line was extended back to the Blackwater Swamp and Fort Bross laid out. Meade placed such a high priority on this work that he assigned nearly all his regular engineers to it--seven officers, including Duane. Warren was very particular about the work. He devoted his energy to it and, in his words, made himself "general of the trenches." He fussed with the engineers and even with his own brigade commanders. After a week the engineers turned Fort Davis over to him to finish, probably because they were sick of his micromanaging. After about two weeks they finished this line, which is, by the way, the prototype for the "redoubt & riflepit" form used later. A couple of days later, on August 2nd, Warren, who wasn't happy about the project, asked Meade to give him more of a say in it and control of the work on his own front. 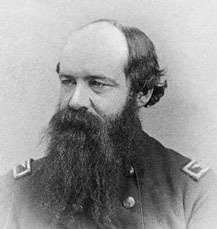 He wanted the engineers working there to report to him and to camp with his troops "that they may then have the deepest personal interest in their work; there has already been a good deal of unnecessary labor spent and I cannot afford more." (What is he implying here...?) He also pointedly said, "I have necessarily other work and ideas of defense than engineer officers, and if they cannot work under my orders they are more of an injury to me now than a benefit.” Clear conflict here. Meade refused to give Warren control over the engineers but said he was "ready to receive any suggestions you may have to make in regard to their operations and to decide all points of difference that may arise." He added that "the chief engineer was directed to confer with corps commanders.” Warren jumped at this chance to get his two cents in because the Grand Medicine Pow-wow happened the next day. I think I now understand what was going on, and what Humphreys was doing there. Warren went to lean on the engineers. Michler, who was on the defensive, had his most senior colleagues there for support: Duane (who for some reason was no longer running things-- there must be a story there), Mendell, and even "old Barnard," who nobody took seriously anymore but at least he had a star on his shoulder and was (nominally) still on Grant's staff. However, even with Barnard, the engineers were outgunned by Warren, a major general. That may at least partly be why Humphreys was there. 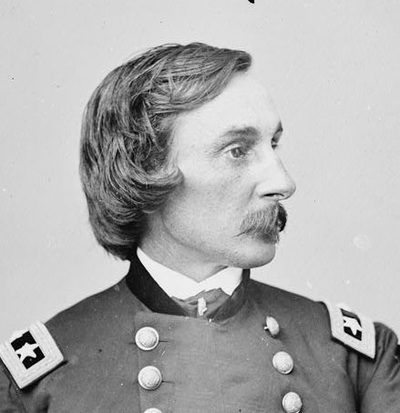 He of course represented army headquarters and would ultimately decide disputes like this; he understood Meade thoroughly and like his boss was conservative by nature. But I think he may have also been there to level the playing field, since the engineers could not really stand up to Warren by themselves (and there was no reason they should have to, they weren't in the chain of command). Humphreys was the referee who would make sure it was a fair fight and ultimately decide the winner. In any event, after much arguing and "dabbing on maps with their fingers," Warren got his way, and an "intermediate" line was chosen (the one that was built). Fort Sedgwick was expanded into a powerful salient, which is also what Warren wanted. In the end, Michler got a consolation prize: He built two independent redoubts along his preferred line, at the Friend and Avery houses. NARA. RG 77: G186-4. 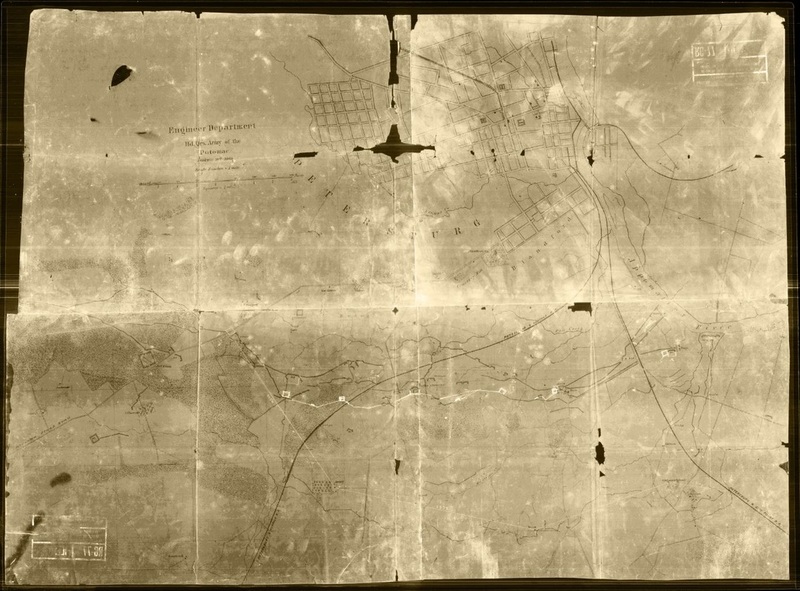 "Manuscript copy of map of the vicinity of Petersburg, VA. This manuscript map from the National Archives shows the evolutions of the Federal lines on the Eastern Front at Petersburg. The map was annotated to depict the locations of Federal regiments during the battle of Fort Stedman, March 25, 1865. The green highlighting shows original Confederate lines, including rapid entrenchments from the opening battles of the siege in June 1864. Red lines show various Federal arrangements through June and August, 1864, leading up to the final configurations decided upon after the Grand Medicine Pow Wow shown in blue. Earlier works were typically maintained as advanced picket lines and coehorn batteries. Duane's Reasoning ... at a later date? Dec. 8th, 1864. "Col. Duane was very communicative last night. Never found him so much so. He told me that the present line of work in front of Petersburgh was not planned by him. It was not planned by anybody. Our troops went as far as they could, and stopped and fortified where they were. Duane would have build three great bastioned forts, each large enough to hold 3000 men, and garrisoned them. The main army might then have lain in reserve and been ready for any desired operations. Sensible I say." --William Watts Folwell, 50th New York Engineers.